A New Era in Crop Protection! 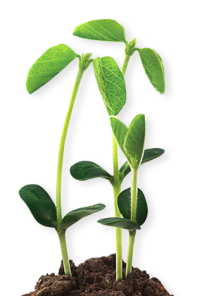 Heads Up® Plant Protectants is an agricultural company based out of Saskatoon, Saskatchewan, Canada that manufacturers biological seed treatments to help farm producers fight fungal and bacterial diseases in field crops. Our signature product, Heads Up® Plant Protectant, (a.k.a Heads Up®), is commercially available in the United States and Canada and is the only EPA/PMRA registered seed treatment for suppression on both Sudden Death Syndrome (Fusarium virguliforme) and White Mold (Sclerotinia sclerotiorum) in Soybeans.